Sanchez was the Pirates’ top international signing in 2015. His big asset is speed. He’s a line-drive hitter with very good speed and range in center. He also has an above average arm. Sanchez didn’t hit the ball with much authority in his first season, but did show very good patience and rarely struck out. It may be a matter of him needing to get stronger as he gets older. He also didn’t do well on the bases. Sanchez was very young, turning 17 only two months before the season started. He played strictly in center. 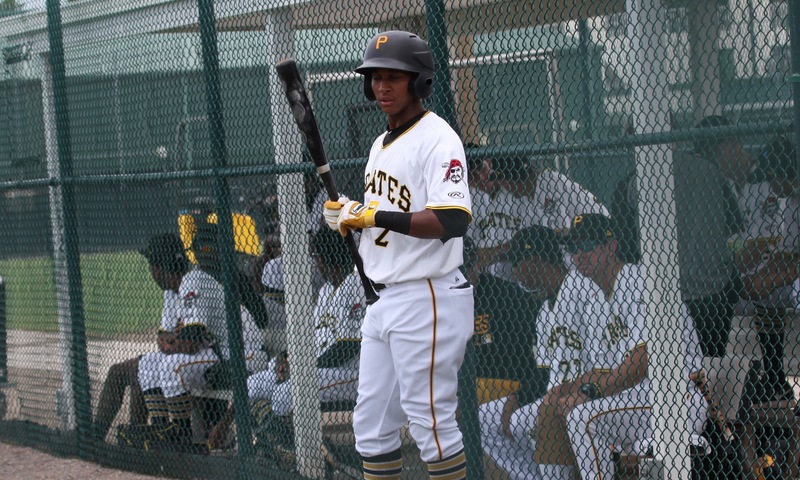 Sanchez took a big step forward as the regular center fielder in the GCL. His hitting improved substantially and he even showed good power, especially for a league where the slugging average was .349. His BB:K ratio continued to be excellent, he made a lot of progress with his base stealing and he led the league in runs. Sanchez even showed a good arm, with seven assists, and he had no errors. The Pirates sent Sanchez to West Virginia, where he was one of the league’s younger players. Overall, he had a disappointing season. He hit a 2-for-39 slump that started in mid-April and his numbers never recovered. He did hit well in some stretches. He batted 298/375/456 in June, but that was followed by a .576 OPS in July. In August and September he rebounded to hit 302/371/372. Another way to sort the numbers is by the league’s all-star break; Sanchez had an OPS of .586 before and .709 after. Sanchez’ plate discipline remained good and he finished fourth in the league in steals, although his success rate could be a little better. Sanchez played center all year until the Pirates moved Travis Swaggerty to West Virginia, after which Sanchez played left. Sanchez’ 2018 season wasn’t good, but it was hardly a disaster, especially given his age, his improvement late in the season and his solid K:BB ratio. The Pirates will send him back to Greensboro in 2019. July 2, 2015: Signed by the Pittsburgh Pirates as an international free agent.